Are Your Thoughts Useful To You? When you start to notice the kinds of thoughts you have about yourself on a daily basis, I wonder what percentage of them you feel are useful to you? How many of them are moving you towards, rather than away from, the life you love? 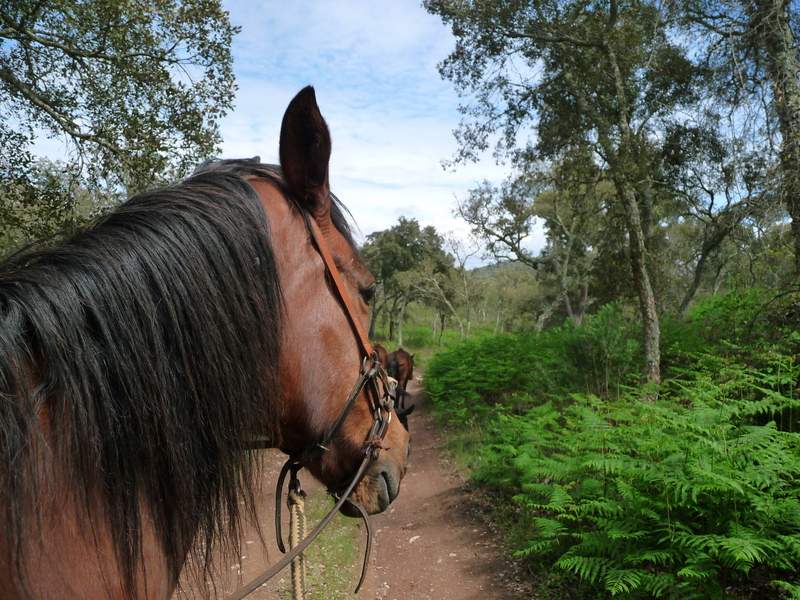 Once I spent a week with a close friend who lives on a small farm in the hills of the Alentejo in Portugal. She grows vegetables and has ducks, chickens, cats, dogs and horses. On my second day there we were hoping to tether the horses in a small area of beautiful Spring-green grass and wild flowers. What actually happened was that two of them escaped. They sped off through the cistus roses, trampling the wild gladioli, and into a fabulous field of green wheat half a mile away. I watched as the wind rolled over the field in waves and the horses galloped away. What my friend did was walk purposefully to the other side of the field, stay with them, and eventually get them back into the paddock, safe and well. How on earth did you do that, I asked? She had used no bridles or whips. Now she uses natural horsemanship techniques and her answer was: I focussed completely on my clear intention that they should come back to the paddock, so eventually they did. When we are both kind and focussed in the way we use our thoughts, being clear about where we want to go, then we too can get the results we want, like a shepherd using a sheepdog with his sheep, or like Gail with her horses. We will make sure we are in charge of them, in the drivers’ seat, when they break free in a way that isn’t that safe or helpful. Intention is powerful in creating change.